SALT was formed in May 2008 by the Industrial Development Authority of the County of Pima (“IDA”). In the early stages of the nationwide recession that began in 2007, thousands of homes in Tucson were being foreclosed and sat vacant and abandoned for an extended period. The IDA recognized that vacant, abandoned, or tax-delinquent properties were destabilizing neighborhoods because they created safety hazards, drove down property values and created havens for criminal activity. SALT was created as an affordable housing focused land bank so that these distressed properties could be acquired, developed and held for more productive use or resale. These homes could be made available to Tucson families impacted by the economic downturn. Initially, SALT began acquiring and rehabilitating distressed properties utilizing grants from the IDA. In 2009, Congress enacted the American Reinvestment and Recovery ACT (“ARRA”) and with it the Neighborhood Stabilization Program 2 (“NSP2”), a US Department of Housing and Urban Development (“HUD”) program established to stabilize neighborhoods that had been impacted by foreclosure and abandonment. 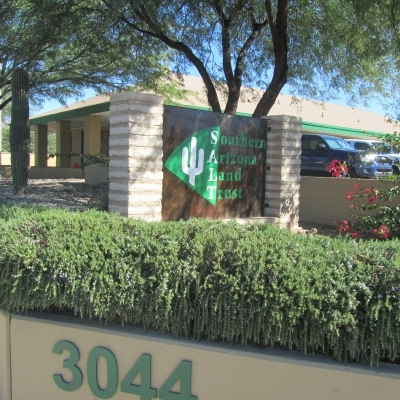 With the goal of securing NSP2 funding, SALT became a member of a local consortium of government and nonprofit organizations headed by Pima County that submitted a collective grant proposal to HUD. The consortium, known as the Pima Neighborhood Investment Partnership (“PNIP”), had one of the highest scoring proposals in the country, and was awarded $22 Million in NSP2 funding. The funding was split among the consortium members and SALT received over $8 Million dollars of NSP2 funds. This funding began in 2010, with the grant being fully disbursed by early 2013. Since its inception, SALT has evaluated well over 1,000 properties, acquiring and rehabilitating over 120 homes for its affordable rental portfolio. Further, approximately 60 homes and lots were acquired, rehabilitated and sold with an additional 360 properties added to its land bank. Today, SALT continues its mission to serve low to moderate income households with safe, decent, energy efficient affordable Homes. SALT continues to evaluate, acquire and rehabilitate properties, as well as build new homes on its land bank properties. These activities provide inventory to further expand its rental portfolio, as well as home ownership opportunities for qualified purchasers.